Bob and Roberta Smith (AKA Patrick Brill) is well known as a vocal campaigner on art school education. 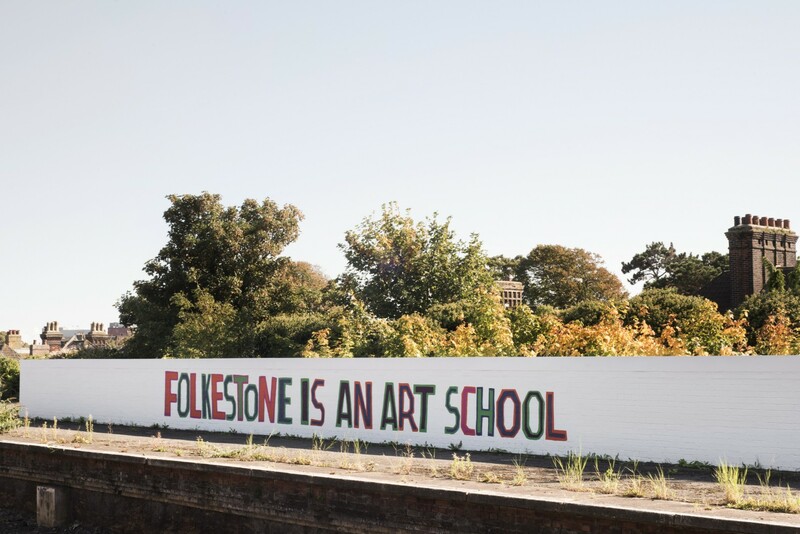 For the 2017 Triennial, he was invited to research the provision of art education in Folkestone: there used to be an art school in the town – why is there not one now? After his research, the artist realised that all the skills and knowledge required to run an art school are already there in the town – they just needed to be recognised and appreciated differently. This artwork is in four parts: the ‘declaration’ that FOLKESTONE IS AN ART SCHOOL; a series of twelve short pedagogical videos available on this website; a ‘directory’ of art teaching resources, facilities and talents, also available on this website; and a teaching programme (and exhibition) delivered by a ‘faculty’ of locally based artists and teachers, to a ‘cohort’ of students selected for tuition by their secondary schools. This artwork is not an art school: it points at the art school. The first three parts of the work remain continuously accessible; the fourth part continues to be spontaneously re-made from time to time through local resources coming together under the banner Folkestone Is An Art School with the agreement of the artist. Bob and Roberta Smith is one man - a British contemporary artist, activist, art education advocate, writer and musician. He is known for his “slogan” art that uses text as an art form, creating colourful slogans on banners and placards. Central to his thinking is the idea that campaigns are extended art works which include a variety of consciousness raising artefacts.